From 19 till 21 September 2018 the ELA quality team held its quality research monitoring meeting and workshops in Kaunas (Lithuania). The ELA project (WPDEV 3.1/WPQC 5.2) was discussed at the meeting with the external monitoring commission (PL, ESR, NL experts) on the quality of the international and research outputs of the law faculty at VMU. Also two workshops were conducted. At the first workshop at the faculty building of Law, Social & Educational Sciences, the role of technology including online teaching modules in (existing and future) curricula was discussed. 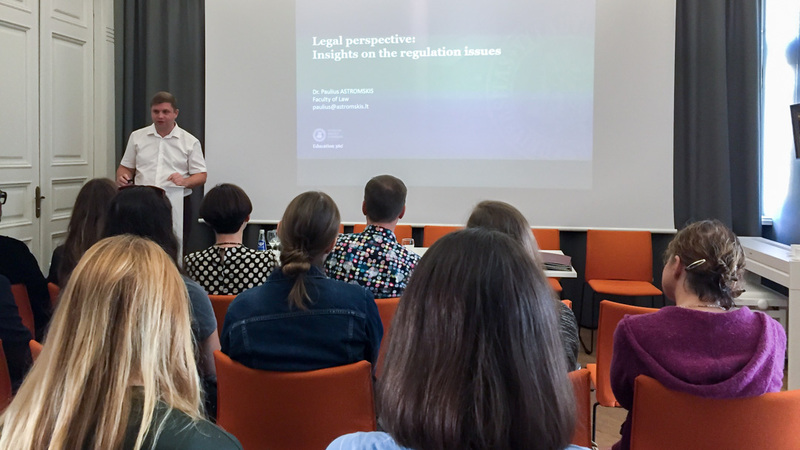 ELA experts also participated in the second workshop conducted by the interdisciplinary research group on ‘Law, Ethics, and Smart Technologies’ at the central library building where an exhibition on youth organisations in Lithuania was running. Finally, the grantholder and VMU responsables held a meeting with Arturas Mickus of the VMU Department of Applied Informatics and IT Park on i.a. the making of the multilingual online teaching modules.